Southern and East Africa are, in general, safe destinations for international travelers. However, it is wise to take certain standard security precautions while travelling. Most of these precautions should be applied while travelling anywhere in the world and some can be applied specifically to this part of the world. 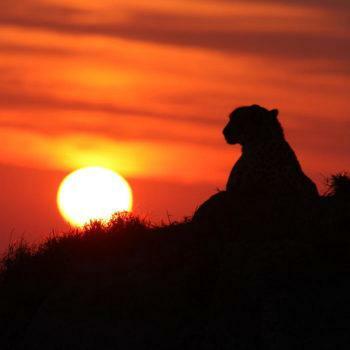 Most all wildlife viewing takes place in remote rural areas and game reserves, away from villages, towns and cities. This means that you will most probably not find other people around, except those who look after your every need while on safari! The transfers (by road, air or water) between airports, hotels and lodges are operated by reputable companies or by the properties themselves. This means that you will not be unattended at any time during your safari. A few tips to consider are the following: make photocopies of your passport, airline tickets, driver’s license and other important documentation. Also keep a record of the numbers of your traveler’s checks. These should be kept in a safe place. Leave expensive jewelry at home. When in towns and cities, do not carry large amounts of cash in your pocket. Keep enough for the expenses of the day and place the rest in a safety deposit box at the hotel/lodge or money pouch under your shirt. Also be discreet with an expensive camera. Make use of your hotel safety deposit box for expensive items. Never leave baggage or personal items unattended, especially at airports. You can count on the advice of the hotel reception as to whether it is safe to walk the streets at night. Parts of some cities will be just as safe as your hometown while others will not be safe to wander at night. Always ask someone at the hotel for their opinion. If you are travelling in a car (self drive), it is important to keep all the car doors locked and keep the windows as far up as possible when in the city. Plan ahead and know which route you intend to take using clear maps. When leaving your car, do not leave your purse or bag lying on the passenger seat in clear view. Take all belongings and place them in the trunk of the car when leaving the car parked. It is advisable to perhaps fold up maps and tidy the car to prevent a thief from singling your vehicle as that of a tourist. Never pick up hitchhikers. South Africa and Namibia offer excellent roads and amenities and are ideal self-drive destinations. Southern Sky Adventures contracts only with local service providers whom we have met personally. You will be given the names and contact numbers of these people who will help you should any problems arise. In addition, we have found that hotels and lodges in Africa are especially aware of possible challenges and appear more willing than other parts of the world to take full responsibility for their clients. On most occasions, in the few times a client has encountered a problem, we are often apprised of the problem and its quick solution after the fact as the hotel/lodge/transportation company has stepped in to make it right. There seems to be a commonly accepted creed in Africa for those in the hospitality industry to take responsibility for getting their guests to the next destination. In addition, someone from Southern Sky Adventures is available at all times to help should any problems arise. Will I need to have any inoculations prior to departure or take any medications prior to or during the trip? Your medical needs will depend upon where you will be visiting in Africa. Many of the same inoculations will be advised but some countries will have slight variations. All information needed can be found at the Center for Disease Control’s website at wwwnc.cdc.gov/travel/destinations/list.aspx. A local travel doctor will also be ready to tell you which medications and inoculations are needed. Vaccination requirements change from time to time. Some countries require advance inoculations for yellow fever (and certificates) that are good for 10 years. Malaria is present in many parts of Africa and we will advise you if you will be visiting a malaria area. If you are on prescription medication, please ensure you have an adequate supply to last the duration of your stay and a copy of your prescriptions. What type weather can I expect? Botswana – Subtropical climate with hot, humid, wet summers (September to April) and warm to cool, dry winters (May to August). Daytime summer temperatures may rise above 95ºF, and winter nights rarely drop below 50ºF with daytime temperatures averaging 80ºF. Most rainfall occurs between November and March. 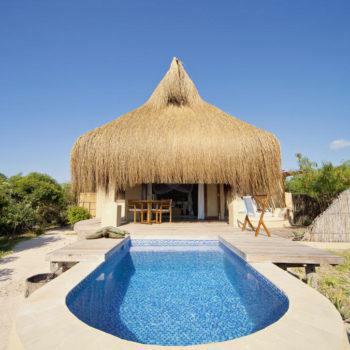 Mozambique – Mozambique has a warm, tropical climate. The average daytime temperature is around 82°F, and the weather along the coast is sunny and warm even in midwinter. Summer, from October to April, is rainy, humid, and hot with low temperatures of about 80ºF with highs in the low 90’sºF. The cooler and drier winter months, from April to September, provide the most comfortable period for travel, and is – overall – the best time to visit Mozambique with lows of about 65ºF and highs of about 75ºF. Namibia–Namibia enjoys sunshine virtually every day of the year and one can expect hot summers (November – April) and pleasant winters (May – October) in this arid climate. Daytime summer temperatures can rise to 100°F and drop to around 65°F at night. Winter days are sunny and mild to warm with temperatures of about 75°F, which may drop to as low as 40°F at night. The coastal region is cool and dry throughout the year. 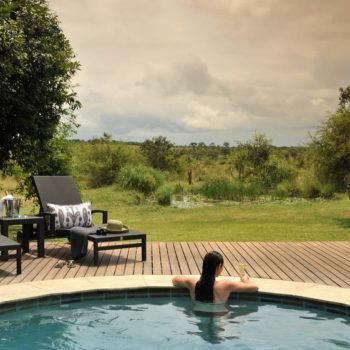 South Africa – Daytime summer temperatures (September – April) are high and may soar above 90°F further north and in Kruger Park but nights can cool down into the high 60’s. Winters (May – August) have chilly nights and crisp early mornings (minimum 45°F), but the days are fine and warmaand can see averages of about 75°F. Rainfall occurs predominantly in the summer months from September to April in the form of magnificent late afternoon/evening thundershowers. 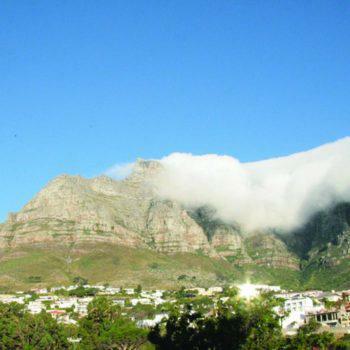 The country is mostly arid and humidity is only found on the north coast on the Indian Ocean. Zambia – October to April is hot and sunny in the morning with possible afternoon thunder storms. Daytime temperatures during this summer period range from 70°F to 90°F and night temperatures drop to 55°F to 65°F. Low lying areas such as Victoria Falls, Kafue National Park, Zambezi Valley and Lake Kariba can be considerably warmer all year round with daytime temperatures in the summer ranging from 95°F to 100°F. May to September is sunny, cool and dry 65°F to 75°F and evening temperatures drop to 50°F. Zimbabwe– Zimbabwe has hot, wet summers (November to March) and warm to cool, dry winters (April to October). Daytime summer temperatures may rise above 90°F in summer, while the nights in winter sometimes drop just below 50°F. The weather is mild with most rain falling from November to March. 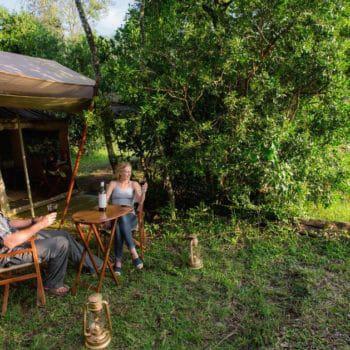 Kenya–Kenya has a gentle and warm climate year round, with lower temperatures found further inland at points of higher elevation. Daytime temperatures are mild and nights can be fairly cool. Summer extends from October to April, with December to March being the warmest months at temperatures of about 65°F at night and as much as 95°F during the day. All year, minimum temperatures are 50ºF and maximum temperatures are 85ºF. The cool season is from May to September when daytime temperatures average 75°F and nights of 50°F. Malawi – Varies from cool in the highlands to warm around Lake Malawi. Winter (May to July) is dry and nights can be chilly, particularly in the highlands. The rainy season runs from November to March. Around Lake Malawi, in winter, the climate is particularly dry with pleasant cooling breezes. Best months to visit: The cooler months (May to October) are pleasant, but the lush green summer (November to April), while hot, is rather impressive. Rwanda/Uganda – Rwanda and Uganda have tropical weather conditions which are moderated by the high altitudes. The hottest months are from December to February but it is still cooler at night. The wet seasons are from March till May. Daytime summer temperatures rarely rise above 85°F with an average of around 75°F, with a maximum of 95°F and minimum of 45ºF depending on the part of the country. Tanzania–Tanzania boasts a warm climate with maximum temperatures of 90°F in summer. Early mornings and evenings can be cold with minimum temperatures of 50°F in winter. Winter is from May to September, and summer from October to April. Rainfall is seasonal with the so-called ’short rains’ in November and December and the ’long rains’ from March to May. Madagascar – Any time of year is fine for a visit except from January to March, when heavy rainfall in many areas can make some roads all but impassable, and when there’s a high risk of cyclones in the east and northeast. In general, the best time to travel in most areas is April and October/November. The coolest time to travel anywhere is during the dry season (May to October), but during this time the hautsplateaux(central highlands; which include Antananarivo) can get cold and windy, with freezing showers. 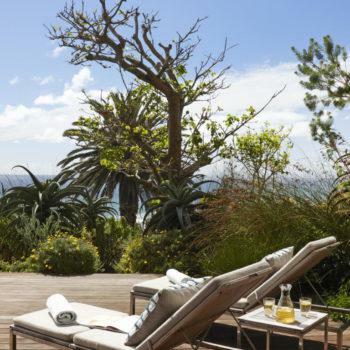 The west and southwest get searingly hot during summer, but the winter months in these regions are pleasant, with blue skies, cooler temperatures and little rain. Most rain in the northeast falls from July to September. Average maximum temperatures vary from about 85°F in coastal areas (higher in summer) to around 75°F on the hautsplateaux. In Antananarivo and other highland areas, temperatures during winter can drop to 50°F and even lower during the night. Mauritius– Mauritius’climate is tropical in nature. The summer starts in November and ends in May and is hot and humid. The temperature hovers around 75°F to 90°F in the coastal belts and it revolves around 68°F to 82°Fin the plateau regions. The winter starts from May and concludes in October. Winters are generally mild with temperatures ranging from 75°F in the coastal area to 66°F in the plateaus. The temperature of water hovers around 72°F in winter and 80°F in the summer. July is the coolest and February is the warmest month. Seychelles – The islands of the Seychelles enjoy a pleasant, tropical climate all year round. Temperatures rarely fall below 75°For rise above 90°F. During the months of May through to September when the trade winds blow from the southeast the climate is generally cooler and drier with a slight breeze. Northwest monsoons from November through to March bring more rain, sometimes in heavy squalls, higher humidity and warmer weather. The transitional months of April and October are fairly hot, with little breeze and calm seas. As the islands lie outside the cyclone belt, high winds and thunderstorms are rare. Rainfall tends to be heaviest during mid-December to mid-January. Annual rainfall totals approximately 90 inches with heavy showers between November and February. Zanzibar – Zanzibar is a few degrees south of the equator and enjoys a tropical climate that is largely dominated by the Indian Ocean monsoons. Average temperature in the summer months is 80°F and in the winter months is 75°F. It is very humid all year round, particularly in the summer monsoon rain period during November to December. April and May experience the highest rainfall and July and August has the lowest. Africa can be reached by regular international flights to its major cities. Southern Sky Adventures can arrange both your internal flights while in Africa as well as your international flights from the US. Most travelers visiting multiple countries in East Africa will have Nairobi serve as an entrance and exit point via Europe whereas Johannesburg, South Africa can provide the same function in southern Africa direct from the US or via Europe. Always research a flight into the country you will be visiting if you plan to stay in that one country during your entire trip. For instance, there is a direct flight from the United Kingdom to Lusaka, Zambia and there is also a direct flight from Germany into Windhoek, Namibia. The real answer is all year round. 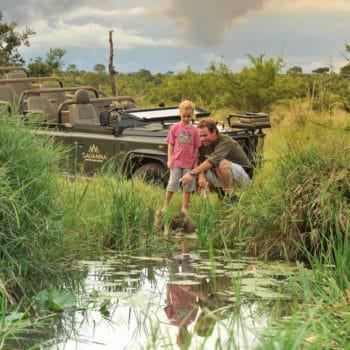 However, it also really depends on the type of game viewing experience you desire and whether much of your trip involves activities outside of game viewing. 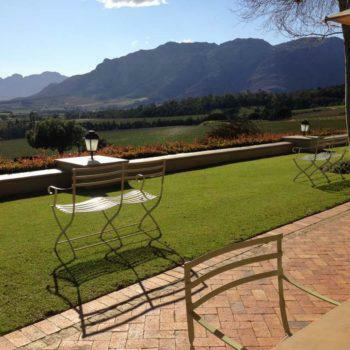 For instance, South Africa has such a vast array of places to visit such as the Winelands, the Garden Route and Cape Town to name but a few, visitors may well want to determine the best time of year to enjoy these activities and parts of their trip. Certain reserves have good game viewing all year round but others will have particularly good elephant sightings or other migratory animals at different times of the year. 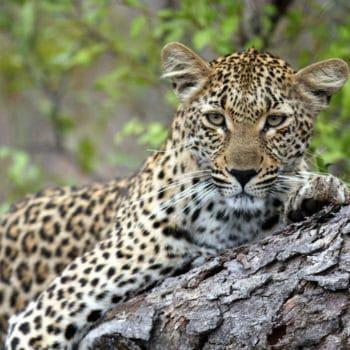 It is generally felt that the African winter (June – August) is the best time to go on safari, as the grass is dry and vegetation sparse making game viewing easier. It is also the time when animals are on the move looking for food and water. In Kenya and Tanzania, you have the memorable opportunity of witnessing the migration of over two million animals. Should you be taking time to sit on the beach, make sure the weather will be at its peak to enjoy this portion of your trip. Should I buy travel and/or health insurance for overseas travel? Travel insurance is a personal choice but I do not believe anyone should travel to Africa without proper healthcare coverage. The travel insurance will protect you financially against any unplanned emergencies that might change your plans prior to or during your travel. Consult with your health insurance provider to determine what type coverage you have for overseas travel. Supplemental health insurance will ensure that you get the best medical care possible while in Africa, regardless of cost. Make sure you ask for a policy that will cover transportation back to your home. We are happy to discuss these points in detail prior to booking your trip and have a reputable company to refer to you should your interest remain high. Should you be traveling in the winter for game viewing, you can expect temperatures in the low 50’s at dawn, maybe lower, for the morning game drive. It is nice to have a wool sweater to wear at the beginning of the drive, but as you will find, once the sun gets above the horizon, you will be inclined to shed layers. Bring a pair of polypropelene long underwear if you might get colder on an open-air game ride in the morning. There is no need for heavy winter coats and sweaters. Should you be visiting the game parks in the fall, summeror spring, there will be no need for the above mentioned clothing. Bringing along a sport jacket or pressed clothes will be dictated by the itinerary you choose. If on safari for the entire portion of your trip, more formal attire is obviously not needed. Many venues and restaurants will warrant dressing as you might in the United States for an evening on the town. However, the basics of a rain resistant light jacket, durable, washable khakis, a hat to shade the sun, shorts, hiking shoes, 2-3 short sleeve shirts, and perhaps a light sweater should cover the necessities. Washing facilities are available during the course of your trip. 2 Khaki long pants will help protect you against the sun and insect bites. Traveler’s Checks, Cash or Credit/Debit Cards? Travelers checks are the safest way to carry money – if lost, you can always get them refunded provided you have a clear log on the ones that have been cashed, when and where. The best traveler’s checks to take are Barclays Bank, Thomas Cook and American Express. You may not be in an area where these can easily be exchanged. In some more remote places it can take hours if at all. Most all airports will have a location in which to cash traveler’s checks and South Africa has locations throughout the country where the checks can be cashed. You may have to pay high commission rates unless the checks are cashed at the airport offices of the issuing company. These fees can vary from bank to bank depending on the type of traveler’s check used. We would recommend you take about 80% of your funds in a form other than cash. Definitely ensure that you take some cash – the currency depends on the region you are visiting but in most countries $US, British Pounds and Euro are readily exchanged locally and in some cases, accepted as currency, albeit at poorer exchange rates. ATM’s are available throughout Africa in the major cities and we have found they usually take American ATM cards. Be aware that the transaction fees will be higher than at home but this incidental cost should be negligible. The exchange rate at ATM’s is usually good. Take a fair amount of small denomination $US for airport (departure) taxes and when you only need to exchange a small amount of money. Visa fees are accepted only in $US, British Pounds and Euro. When you exchange money, exchange plenty – it is often a time consuming task and banks are not always open. In remote areas you may not be able to exchange money. Money can be exchanged in many hotels but the rates are not as good as at banks. Always get a receipt when changing money through the official channels. Unless you are traveling in cities and well developed countries, such as South Africa you will find that very few places accept payment by credit card. Most of your trip’s costs will have already been paid so this issue should not be of great concern but you should be aware of the issue. If you are going to make payment via credit card for a hotel room, safari or activity, ensure that you know exactly what exchange rate they are going to use and if there are any additional fees for paying by credit card. When you have made a payment using credit card – always keep your credit card receipt in a safe place – it is not unknown to be charged twice and without your credit card receipt there is little you can do to dispute anything when you get back home. Prior to leaving advise your credit card company that you are going to be in Africa. That way if they get any new or strange charges, they will not deny it or shut down your card. In cities and well developed countries you can draw cash out from ATM machines using your credit card or ATM card- however, please be aware that money from ATM’s is ONLY available in local currency. Always have a small bit of money available in a pocket or close to hand – you do not want to dig into your bag or money belt or pull out a whole wedge of money when paying for something. If you use a money belt make sure that it is small, inconspicuous and well hidden under your clothing. Do not walk round with a great bulge around your mid section. It is best to store your money in several places, then, in the unfortunate incident of you being robbed or losing money you won’t lose all. Many hotels and safari companies provide safety deposit boxes for you in your room, but they may be managed differently – find out who has access before storing anything in a safety deposit box and if you feel comfortable with the security then leave the majority of your money and valuables here. When traveling and staying in one place for any length of time, look for a good spot to hide your money in the room provided there are no staff coming in. No. English is spoken throughout East and southern Africa, especially by those involved in the tourist trade. We all find the food in East and southern Africa to be very good. International cuisine is available at all the hotels as well as restaurants. Special dietary requirements are catered forthroughout Africa if needed. All safari lodges will send a questionnaire requesting dietary needs. Local specialties can be surprisingly good so give it a shot. What wildlife photography advice is most important? A good camera will make the difference between having photos of spectacular wildlife and having vague, little dots of animals to show family and friends. The more common “point-and-shoot” cameras are too small. On safari, you won’t always be able to get up close to wildlife. A SLR (single lens reflex) camera with a 200-300mm lens is recommended. More serious photographers may choose telephoto lenses of 400 or 500mm. Larger lenses often require a tripod, which cannot be used on a moving vehicle. A 2x teleconverter is useful for doubling the focal length of your lens.A zoom lens, such as a 70 to 210mm lens, is probably the best option for shooting a moving subject. The harsh African sun provides excellent lighting, but using larger lenses will require faster shutter speed, especially in early morning or late afternoon when the light is softer. A lens hood and ultra violet filter are advisable. A good bag for your equipment including a dust cover (plastic bag) is essential. Important Note: Not all African cultures are familiar with cameras. Rural folk will often shy away from having their picture taken. Please be sensitive. Some locals may ask a fee for having their photograph taken. It is recommended you avoid photographing anything relating to government and military, including personnel (soldiers and police) and buildings. What considerations are important in planning to see too much? It is important to realize how large Africa is and to understand how much travel you will have to do when visiting multiple countries. If you are visiting Kenya, Tanzania, Victoria Falls and South Africa, you are reaching areas that would cover a distance from the Los Angeles to New York. South Africa is twice the size of Texas. Southern Sky Adventures does offer trips that visit multiple countries butdo be sure you fully understand the amount of time that is spent in transit. Most countries in Africa do not participate in daylight savings time so these hours will increase by one hour during this time. What are the international dialing codes for each country? From the US, dial 011 for an international call, then the number. What are the health issues when traveling with children into malaria areas? A children’s version of the antimalarial drug Malarone is available. The most important precaution against being bitten by mosquitoes is to cover up and to apply repellent. Your children should have the right gear for their safari. Long sleeved shirts and long pants are essential for early morning and evening. A child-friendly high-concentration DEET repellent is available on the market. Don’t let malaria keep you from enjoying a safari with your family. There are several malaria-free reserves in South Africa to choose from in the Eastern Cape and in the Madikwe Game Reserve. Botswana: Tap water is purified and safe to drink at hotels, inns, lodges and other public places. Remember water is a scarce resource, especially in this drought-stricken country, so please be respectful and help to conserve water. Moçambique: Tap water is usually safe to drink, but bottled water is available should you prefer this. Namibia: Tap water is purified and safe to drink at hotels, inns, lodges and other public places. Remember water is as precious as diamonds in this drought-stricken land. South Africa: The tap water in South Africa is safe to drink. If you prefer, bottled water is available. Zambia: Tap water is usually safe to drink, but bottled water can be purchased if preferred. Zimbabwe: Tap water is purified and safe to drink at hotels, inns, lodges and other public places.